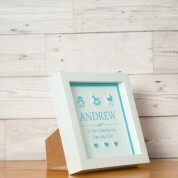 This contemporary white three dimension box frame offers a classy, colourful memento for a special occasion. 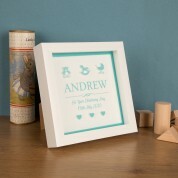 This frame is a special gift for a baby boy on their christening day. 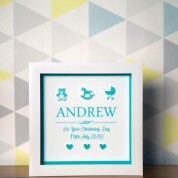 Personalisation is available in the name of your choice and the date of the Christening. The frame presents itself as a bespoke and impressive gift that captures the eye as the attention to detail of the cut out figures are phenomenal. Displaying laser cut perspex figures of a teddy bear, a rocking horse and a baby pram above the baby’s name. 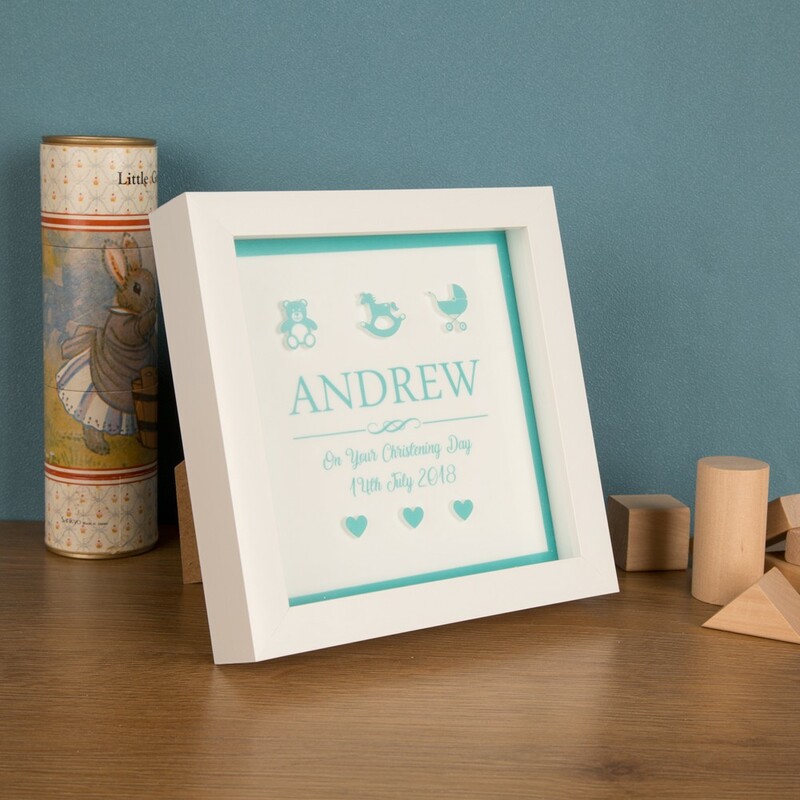 Below the date is three hearts also laser engraved from perspex making the frame a very special memento to display in the family home or baby’s bedroom. 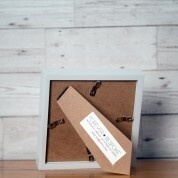 The box can be both hung on the wall or can sit freestanding on a shelf to be admired. This three dimension box frame is a fantastic combination of pristine laser cut perspex figures and top of the range UV printing. The product is designed and assembled in our studio in Ayrshire, Scotland. The white luxury frame holds a glass protection sheet.